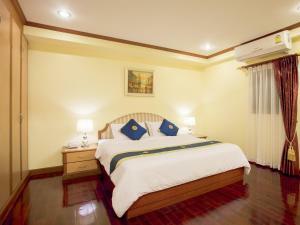 Offering free Wi-Fi access in all areas, Patumwan House is located in Bangkok. It has an on-site restaurant; Bai Kapraw Restaurant offers Thai food from 07:00 to 13:30 and 17:00 to 21:30 hrs. Located 5-minute walk from BTS National Stadium, MBK Shopping Centre and Siam Square Centre are around 10-minute walk from the accommodation. Suvarnabhumi Airport is 25 km away. 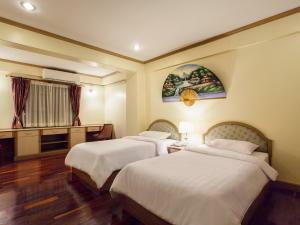 Accommodation at Patumwan House has air-conditioning, a flat-screen cable TV and a seating area. 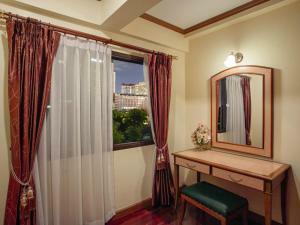 It has a private bathroom also comes with a shower, a bathtub and free toiletries. It also has a dining area, a refrigerator and an electric kettle. 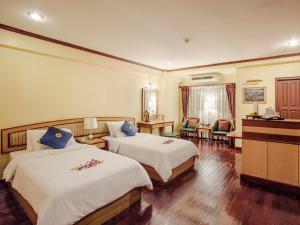 At Patumwan House guests enjoy a 24-hr front desk service, a snack bar and laundry service. Parking is available with an extra cost and reservation is needed. This air-conditioned with wooden floor features a seating area. 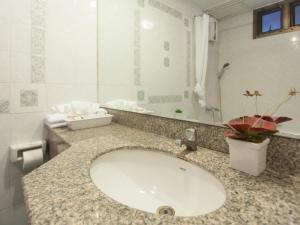 Its en suite bathroom comes with a bathtub, a shower and free toiletries. Towels and linen are also offered. Guests enjoy an electric kettle, refrigerator and a flat-screen cable TV. 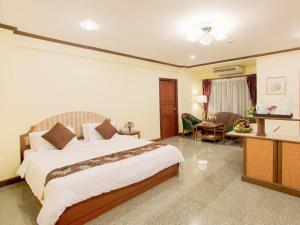 Rate: THB 1482.00 ... THB 5500.00; select dates below to get current rates. 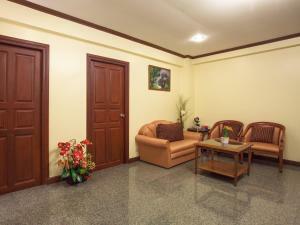 Spacious air-conditioned room features a seating area. Its private bathroom comes with a shower, a bathtub and free toiletries. 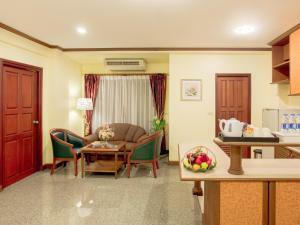 Guests enjoy a flat-screen cable TV, an electric kettle and a refrigerator. Towels and linen are also available. 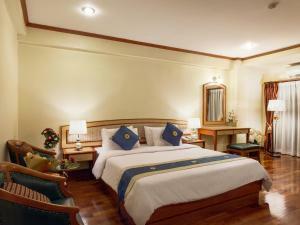 Bigger than Standard Twin Room, it features air-conditioning and a seating area. 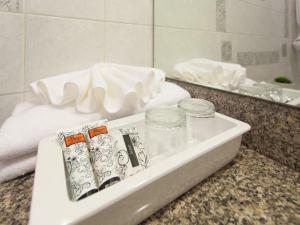 Its private bathroom comes with a shower, a bathtub and free toiletries. 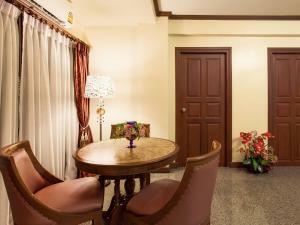 Guests enjoy a flat-screen cable TV, an electric kettle and a refrigerator. Towels and linen are also available. 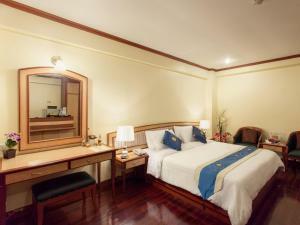 Bigger than Deluxe Double Room, it features a seating area with a sofa. Its private bathroom comes with a shower, a bathtub and free toiletries. 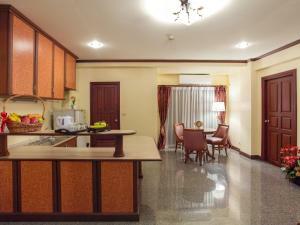 Guests enjoy a flat-screen cable TV, an electric kettle and a refrigerator. Towels and linen are also available. Largest suite, it features a seating area with a sofa. 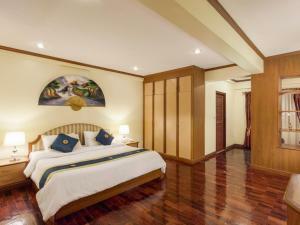 It has 2 private bathroom comes with a shower, a bathtub and free toiletries. 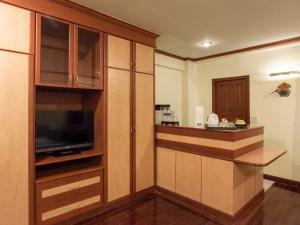 Guests enjoy a flat-screen cable TV, an electric kettle and a refrigerator. Towels and linen are also available.